Makes sense that a little redhead would think she was Ariel from The LIttle Mermaid. And you can’t be Ariel without a pretty voice. Nicole Sheahan used to sing beloved Disney songs in the bathtub at the top of her lungs, and that’s what started it all. Nicole taught herself how to play the piano by age 13 and the guitar by age 19. She’s always been inspired by music and is fulfilling her dream of becoming a renowned singer and songwriter. Her first album, “Invisible Facts,” was released in December 2007. She has since performed with musicians Kenneth Cope and Alex Boye along with several others. And she doesn’t fail to recognize the artists that have touched her heart. “There are a bunch of artists who have influenced my writing—Stephanie Smith, Cherie Call, Nichole Nordeman, and Natalie Grant are the top four. That was the music I listened to all the time. I would listen to their lyrics and the music going along with it, and even before I started songwriting, it just amazed me how they could tell stories that I could relate to and how their stories, through music, could impact my life—how I think and how I act. The artists who have influenced me the most are the ones with strong and powerful lyrics that say something new,” says Nicole. She has lived in Hamilton, Montana, Nashville, Tennessee, Baldwinsville, New York, and Warsaw Poland. 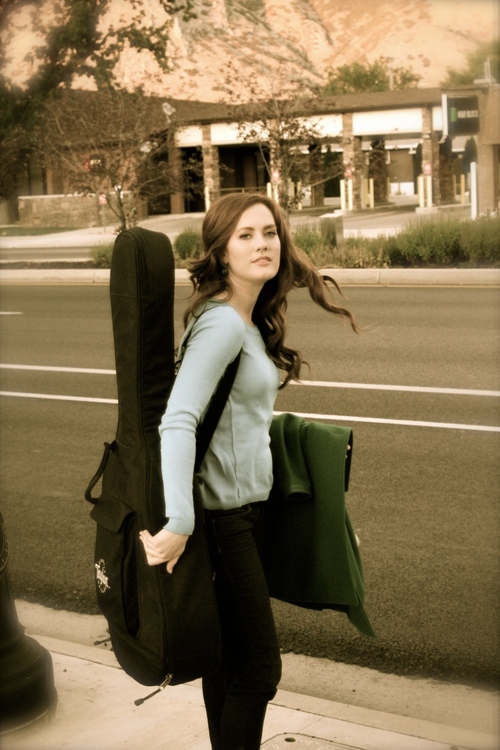 Sheahan graduated from Brigham Young University in 2010 with a degree in Media Music Studies. She also speaks French and Polish. With her talent in linguistics and the arts, Nicole strives to lift, inspire and energize her listeners. Her main inspiration is the burning testimony she has of her Savior, Jesus Christ. As a member of The Church of Jesus Christ of Latter-day Saints living in Provo, Utah, Nicole has many opportunities to touch the hearts of the people around her through her music and remind them of their commitment to God and His everlasting gospel.